The Ohio Department of Natural Resources (ODNR) has released production results for Ohio’s horizontal shale wells for the second quarter of 2015, and the numbers are outstanding. Ohio’s nearly 978 horizontal wells produced 5,578,255 barrels of oil and 221,860,169 Mcf (222 billion cubic feet) of natural gas in the second quarter of 2015. That’s a 20 percent increase in oil volume from the first quarter of this year, and nearly 21 percent growth for natural gas. The number of rigs reporting production this quarter is up by 101 over last quarter, representing a 12 percent increase. Recall that the first quarter of 2015 also saw a 12 percent increase over the previous year – evidence that production on the Utica Shale is booming. The average amount of oil produced was 5,469 barrels. The average amount of gas produced was 217,510 Mcf. The average number of days in production was 79. 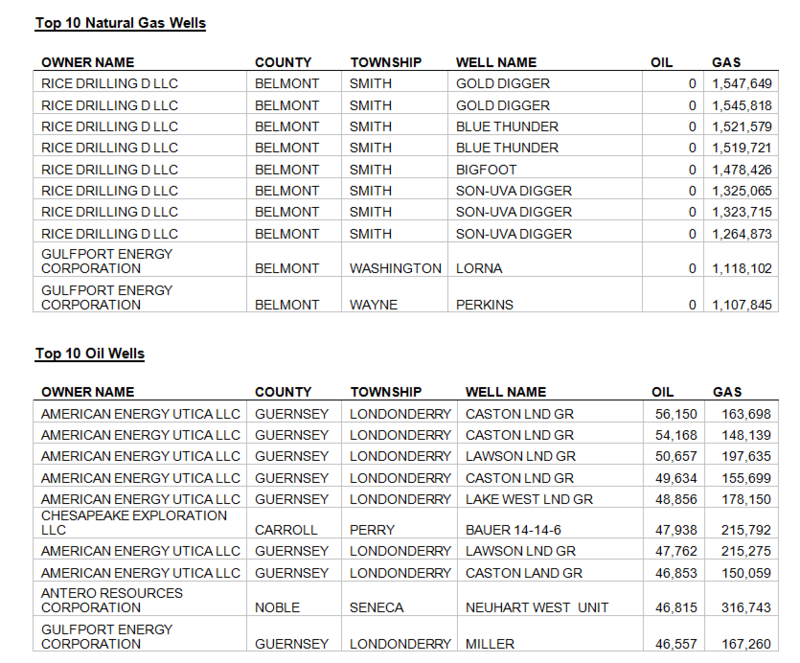 A closer look at the details of the production report shows that Belmont, Carroll, and Harrison Counties produced the most natural gas last quarter, while Guernsey County, along with Caroll and Harrison Counties, pumped out the most oil. Finally, a shout out to Rice, Gulfport, American Energy Utica, Chesapeake Exploration, and Antero who all took the top spots as acreage winners in top production numbers this quarter. The new data show that even as the oil market goes through a difficult pricing period, Ohio wells are going strong.